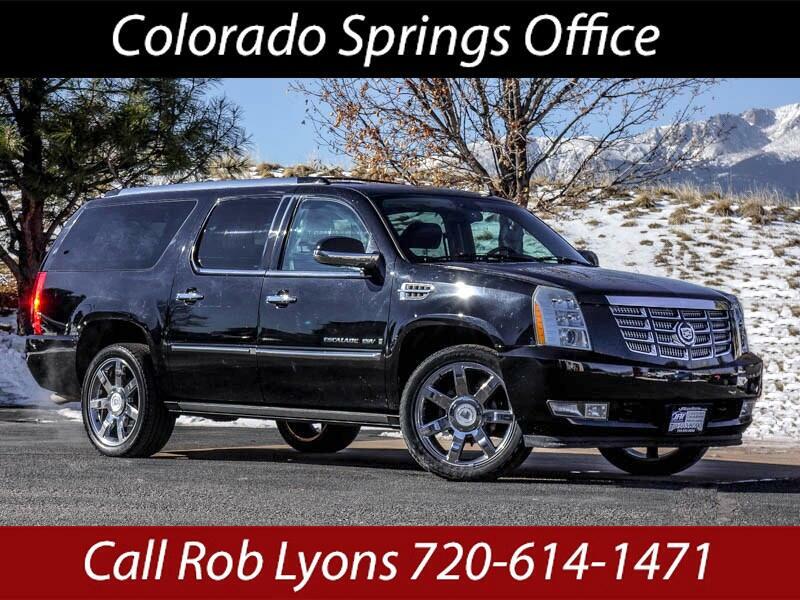 Used 2008 Cadillac Escalade ESV AWD Platinum for Sale in Littleton CO 80120 JFR & Associates, Inc. This Cadillac Escalade offers all the above plus lots more. This full-size SUV offers plenty of room and comfort for you and your passengers. Acceleration is effortless with this V8 powerhouse. Merging in and out of traffic is a breeze. You get all the power you need precisely when you want it. The cabin comes with user-friendly controls that are easy to use and placed at your fingertips so you can focus on your driving. The cabin is attractive and comfortable. This Escalade comes with a wide array of options: CD changer, Bluetooth integration, aux audio jack, a backup camera, DVD player, leather seats, heated seats, keyless entry, running boards, memory seat, sunroof, Satellite Radio, tinted windows, plus lots more to add to your driving comfort and pleasure. Contact us today and schedule a test drive so you can take this affordable Escalade for a spin and see how beautiful it handles.